A few months ago I made a post about my opinion on certain Pixar movie decisions. In said post, I shared a link that includes the future movie Disney movie projects (Pixar, Disney Channel..etc). I decided to take a look at the website yesterday, and discovered some interesting new additions to the list. Some sound interesting and exciting, and some I'm a little apprehensive about. 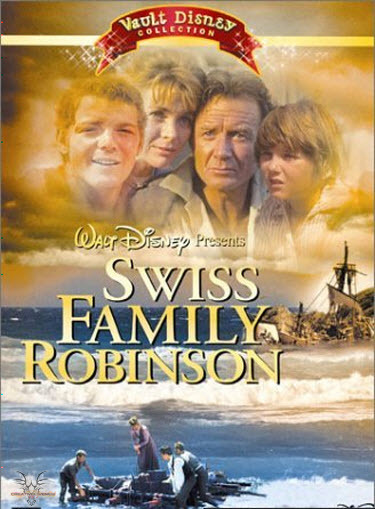 1) Swiss Family Robinson (2012): According to the website, the idea of remaking the original Swiss Family Robinson film from 1960 has been up in the air since 2004. Apparently it has been confirmed in 2009 that a remake is going to be created, with Will Smith, his wife Jada, and their three kids will be the main characters. The estimated release date was to be 2012, but there apparently hasn't been any production at the moment. This could just be a rumor, beings that it takes a few years for a movie to be made. There has been no information on the IMDB website, so either this is just a rumor, or they're pushing production to a later date. 2) The Hill (2013): I previously wrote about this movie in March. The Hill will be modeled off of Disney's infamous Matterhorn Bobsleds ride. A group of mountain climbers will try and scale the massive mountain, but only finds themselves in the midst of a giant and dangerous yeti. More detail in my previous post. Before when I wrote about it I couldn't find any more information on official websites such as IMDB, but it seems that now The Hill has it's own official page! Not much information on the page since the movie is still under development, but it's nice to have confirmation that the movie is under production! 3) MacFarland (2013): On both the Disney movie list website and IMDB it says that this movie is about, "A track coach in a small California town transforms a team of athletes into championship contenders." I'm curious on what town it is, since I live in California. Probably nowhere near me though. I'm assuming this is going to be like other heartwarming sports movies such as Glory Road. 4) Magic Kingdom (2013): Once again I mentioned this movie at the end of my post about The Hill, but at the time I was not able to retrieve very much information about it. Now it has been confirmed that the movie will be based off of the Kingdom Keepers books where the Disney theme parks come alive at night! How exciting is that? It has been compared to Night at the Museum, which are two movies I quite enjoyed. One of the big questions I have...why have I not heard of these books before today??? 5) Tink (2013): There isn't much information on this movie either, but it has been said that Elizabeth Banks (who I have recently grown to love) will play a real life Tinkerbell. Maybe it will be a live action twist on Tinkerbell's life as depicted in the recent animated films? Only time will tell. 6) 20,000 Leagues Under the Sea: Captain Nemo (2013? ): No, unfortunately this does not have to do with Finding Nemo...haha but apparently both Disney and Fox have decided to work on a remake film adaption to the famous book. Much like Snow White and the Huntsman and Mirror Mirror this year, it will be a race to see who creates the movie first. However, the Disney version does not have a completed script at the moment. David Fincher will be directing the movie. 7) Oz: The Great and Powerful (2013): Finally a movie with lots of information! The official IMDB page confirms that this movie will be a prequel to the legendary Wizard of Oz. It will be about how the wizard came to be the great and powerful ruler of Oz. The handsome James Franco will play Oz, Mila Kunis is Theodora (the Wicked Witch of the West), Rachel Weisz as Evanora (Wicked Witch of the East), and Michelle Williams will be Glinda. I'm personally very excited for this. 8) The Lone Ranger (2013): I'm excited for this one!!! Honestly right now it's because of the actors in it. Johnny Depp (as Tonto), Helena Bonham Carter, and Armie Hammer (as the Lone Ranger) will be the three main characters in the remake of the original Lone Ranger TV series. The difference between the movie and the TV series is that Tonto won't be as much of a sidekick, but more of a main character. Since it's Johnny Depp playing Tonto, I expected no less. It would be weird to have him play a minor character...just my opinion. 9) Monsters University (2013): Yes, a prequel to Monsters Inc. is being created and will release in June 2013. The original cast will be a part of the story before Mike, Sulley, and Randall were a part of Monsters Incoporated, otherwise known as their college years. This is really all I know about it, and I'm curious to see how it turns out. I'm keeping an open mind since I quite enjoyed the original movie, and it's been a significant amount of time (11 years!!) since the original came out. 10) National Treasure 3 (2014): I don't think I need to explain this much...another Nicholas Cage movie with explosions, historical references, quick assumptions from minimal amounts of clues...alright I'm being a bit harsh. I actually liked National Treasure. The second one held it's own too. But a third one? Okay...kind of getting predictable. The rumored treasures are: the Lost Colony of Roanoke, Atlantis, and the Fountain of Youth. They should probably avoid Fountain of Youth since that was the goal for Pirates: On Stranger Tides. 12) Toy Story 4 (2015? ): Yep. You heard me. They have announced that Toy Story 4 is going to be created. I have mixed feelings about this. I absolutely loved the trilogy...Buzz and Woody were my imaginary friends when I was really little. The second one might be my favorite. However, I feel like a fourth movie could be overdoing it. Who knows, they've been able to shock us with Toy Story 3 and create a treasured film, but I'm not sure what they'll do with the fourth one besides keep going with the toys' lives after Andy went to college. I thought they ended the third one perfectly to conclude the trilogy, but I guess they have something great to continue with. We'll have to see. One thing I'm confused with is that Planes isn't on this list. I saw the trailer on Youtube yesterday, and it says that it's supposed to come out in 2013. Sounds like it might as well be a third Cars. Planes? Really? What's next...trains? Boats? Lawn mowers? Not too many people are digging the idea according to the comments on the video. What's your opinion? It'll be interesting to see which movies succeed and which movies are just rumors. Great rundown of everything that's to come (or rumored to come!). I'm SO excited about the Matterhorn and Jungle Cruise movies but hope it's more like Pirates of the Caribbean than Haunted Mansion. I really hope they're like Pirates too! Ugh, what's with the remake of SFR? Really, that's an incredible film. 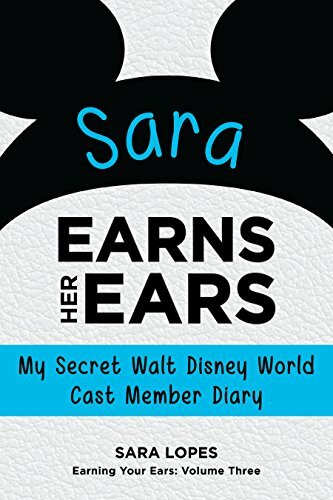 Why Disney? Why!!! And I hate it when people mess with Oz. Yeah there's quite a few movies here that I'm just thinking....why?! I don't think I've seen the original SFR, but it doesn't seem necessary to remake such a classic. I'm curious about the Oz movie. They seem to have a good strong number of actors so it will be interesting to see how it plays out. And with the Smiths? The people in the original story weren't African American, and I'm not being racist or anything, but I just don't get it. Because I've got a lot to say. I have to say: not surprised about National Treasure 3. I knew it would happen after seeing the sequel. That whole certain page in the book of presidents. And wouldn't it be great if The Jungle Cruise featured a cameo by John Lasseter? Rants are fun! Totally go for it! :D This was a little rant for me too, just not totally dedicated as a "rant."